People have always loved watching couples acting together in big screen. The case with relatives is of no difference. It seems like we have an exciting offer on the door step now. Though unofficial, reports from the industry suggest that Jyothika and Karthi are all set to act together in a movie. 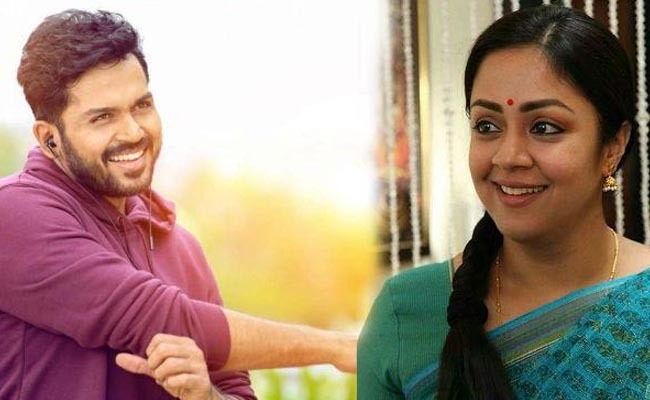 Under the direction of Jeethu Joseph of Malayalam movie Drishyam fame, Karthi would be acting as a brother to Jyothika. Having said that, we are still far away from making any sound report in this regards, the rumour is quite able to create an internet sensation. However, it is not the first time that Karthi is associated with a Jyothika project. The actor had sung a song for his sister in law in the movie Magalir Mattum.